I am a born and raised, tried and true (Greater) Vancouverite. I may even check some of the boxes from “How to be A Vancouverite” (step 6!). While I was raised in the uneventful Township of Langley, in the past decade, it has EXPLODED! It is now home to an events centre, many more people and some better (suburban) shopping. However, the most interesting area is much older than all of us. 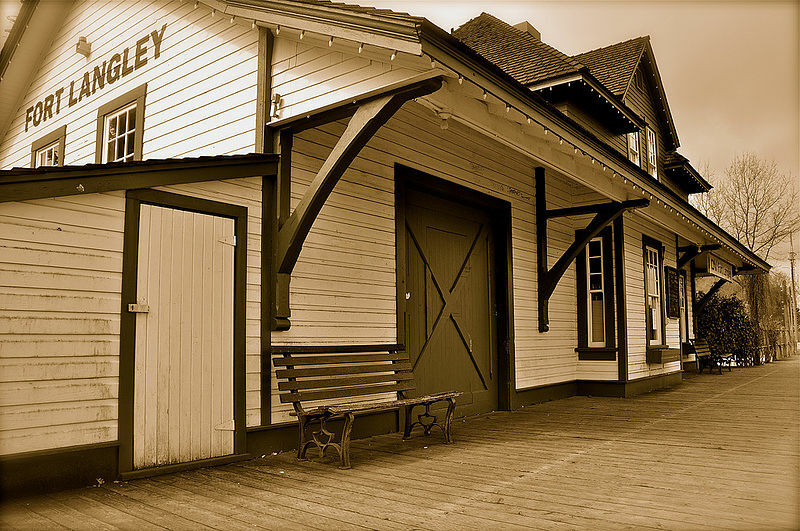 I’m talking about Fort Langley, the “Birthplace of BC”! Day-tripping in Fort Langley is tons of fun, especially this holiday weekend! Not only is there the historic Fort itself, tomorrow is the annual Cranberry Festival. That means even more food and entertainment than usual. City Hall is the epicentre of town, and the backdrop to many popular movies and TV shows, including ABC’s Once Upon a Time. But Fort Langley is a great place to visit any time of year, other than just during Cran Fest. There are quaint little shops, art galleries and antique stores to peruse, as well as a good assortment of places to nosh at (considering the downtown isn’t much larger than a few blocks). From the ‘50s-style Planet Java, to Beatniks Bistro, to Wendel’s and of course, he Fort Pub, there’s something for everyone’s taste buds. And on any given day, you could be walking down the street and see one of your favourite actors, since Fort Langley has been the backdrop of many popular movies and TV shows! For active types, there’s also the Fort to Fort Trail. You can walk, run, bike, or hike to your heart’s content on its 15 kilometres of trail. It’s a beautiful nature walk, worth taking some time (even if it’s not the whole 15km) to explore. So I guess it’s not so uneventful, is it? I suppose the older I get, the more I can appreciate my roots.